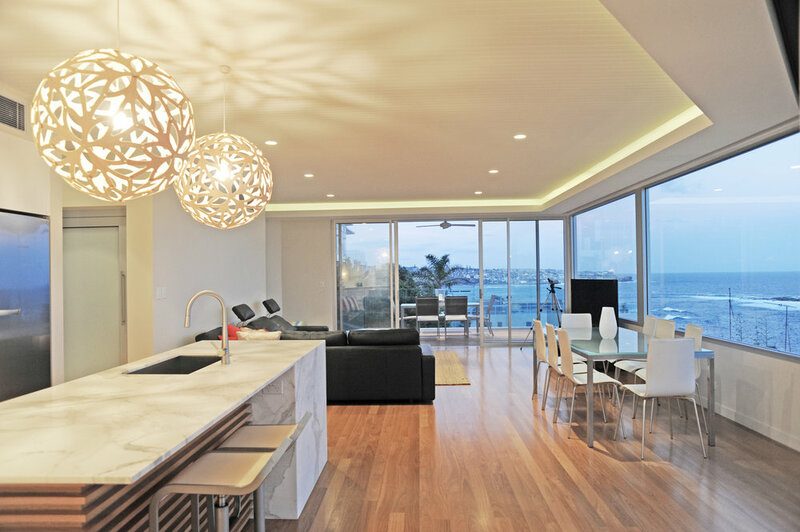 The house at South Coogee is located on a tight steeply sloping site with dramatic views over the ocean, Wedding Cake island and the coastline. Its environment can at times be very harsh, with exposure to the elements a main issue. Contextually the area is comprised of a collecting of random and varying styles of houses; ranging from federation cottages through to modern contemporary houses of varying levels of architectural design. As a built landscape the context is quite abstract with a predominance of pitched roof forms. The planning and form of the house has been derived from the limitations of its context.